ISO Workshop 8.1 Portable » TopFreeSoft.Net - Best Freeware Software! 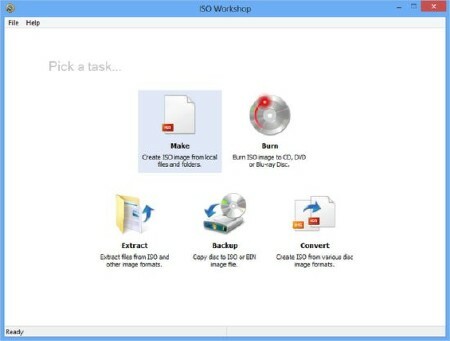 ISO Workshop allows you to make ISO files from your local files and folders. You can make standard ISO images with various file systems or bootable ISO images, to prepare boot disc. Also you can open any ISO file and extract files and folders to your hard drive. With ISO Workshop you can make an exact copy of your CD, DVD or Blu-ray Disc on your hard drive, to backup important data or Audio CD. Of course, you can convert various disc images to ISO format.